At Roswell Roofing & Peacemakers Construction, we offer the most reliable roof contracting. No other roofing contractor is as efficient as Roswell Roofing & Peacemakers Construction. Roswell Roofing & Peacemakers Construction offers customers affordable home remodeling. Roswell Roofing & Peacemakers Construction is a roofing and remodeling contractor serving the Roswell, NM area. We have been “serving Roswell since 1989” with roofing contractor service, roofing installation and maintenance, and residential remodeling. We also do cabinetry, pergolas, decks, fencing, woodworking, and carpentry. We can provide you with the transformation your property needs to improve its curb appeal and value. As a roofing contractor, we will make sure your roof gets the repairs and maintenance it needs. We also oversee installation and can help you pick out a material that is suitable for your property. We build flat and sloping roofs, and we suggest metal roofing and shingle roofing because of their affordability, versatility, and durability. 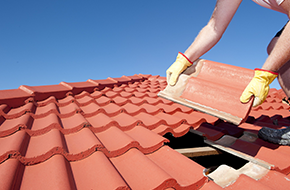 Our roofing service includes installation, roof replacement, and maintenance. 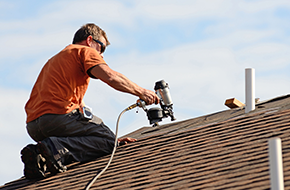 We do roof remodeling as well and can patch up any cracks or holes in your roof to restore its durability. In addition, we can pressure wash your roof. Doing so will remove black streaks of bacteria and germs while also getting rid of mold, algae, mildew, and other debris. Lastly, we offer remodeling. Remodeling is a popular way to add value to your property. 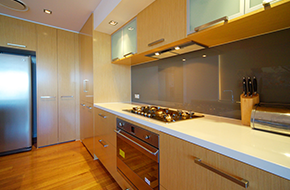 We do interior and exterior remodeling, and we can work on the kitchen, bathroom, living room, or bedroom. We can also add room additions for extra living and storage space. Room additions cost a fraction of what a new house does and will give you everything you want without you having to break the bank. When you hire Roswell Roofing & Peacemakers Construction, you get the most reliable service in Roswell, NM. Call today for a free estimate.